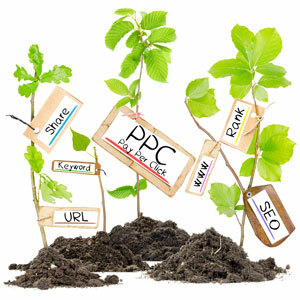 Pay-Per-Click advertising is an effective way to grow a brand on the web. When a small business desires growth, PPC offers web presence, leads, and more traffic. So what exactly is PPC advertising? When a business wants to expand they can invest in a PPC advertising campaign. They can hire a paid search agency or work themselves to create ads and pay a fee each time one of their ads is clicked on. Search engines or social media platforms host the ads with the intent to draw in traffic to the businesses website. Relevant keywords and knowledge of a target market are crucial in a good PPC advertising campaign. A PPC advertising campaign can increase a customer’s lifetime value, bring in higher profit margins and is a great way to introduce a niche product to a community. If a business has a product or service that is hard to find locally, PPC advertising is great because people are probably searching for this service or product every day. A business can monitor the ad and statistics from a dashboard, once it is approved and published. Search engine advertising is best for demand fulfillment. The most popular search engines for PPC are Google, Bing, Yahoo, and Yelp. Google Adwords is the top choice for many but is more expensive than the rest. Facebook is the top player in PPC marketing with social media. A social media PPC campaign is for businesses that want to introduce a brand to open-minded customers. These customers aren’t looking for the product but are open to discovering new things. Instagram, YouTube, Twitter, LinkedIn, Pinterest and Snapchat are also big players in social media marketing for businesses. A marketing strategy that includes PPC advertising is a positive step for large and small businesses that want to get more traffic to their website. A PPC campaign on a social media platform can even help a product go viral!